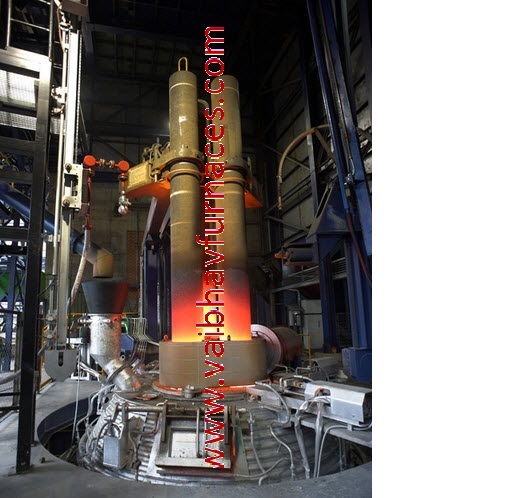 We are Manufacturer/supplier/exporter of Ladle Refining Furances(LRFs) Technolgy on Turnkey basis. Ours is a State-Of-The-Art Technology in which Operations such as Temperature Measuring Lance , Oxygen Lancing , Cored Wire Feeding Ports can be provided as per customer requirement. 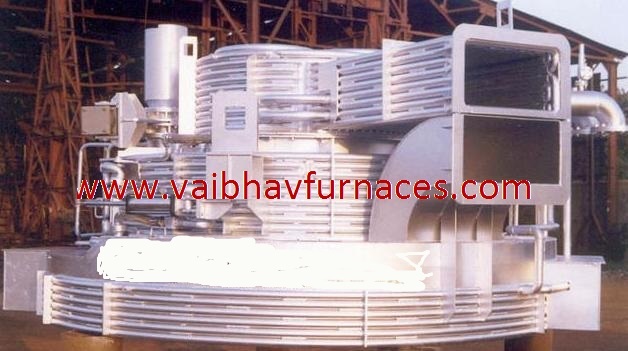 We carry stringent quality control on all our equipment to provide best plant performance. 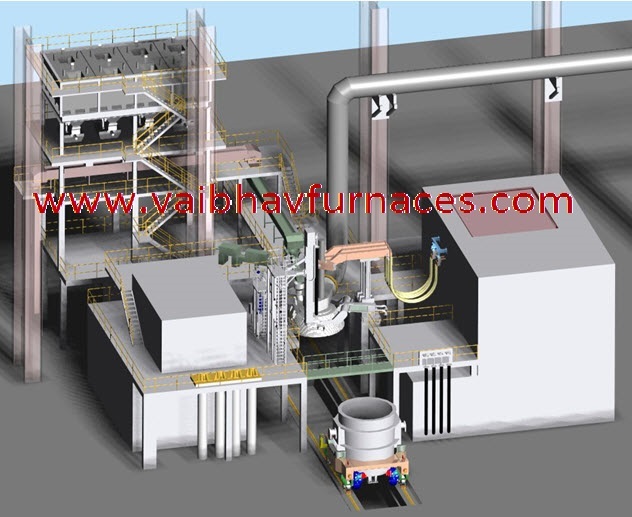 The basic function of "Ladle Reining Furnace" is to relieve the primary melting process/equipment such as "Electric Arc Furnace OR "Convertors"
Reheating of Liquid Steel , coming from "Primary Melting Furnace". 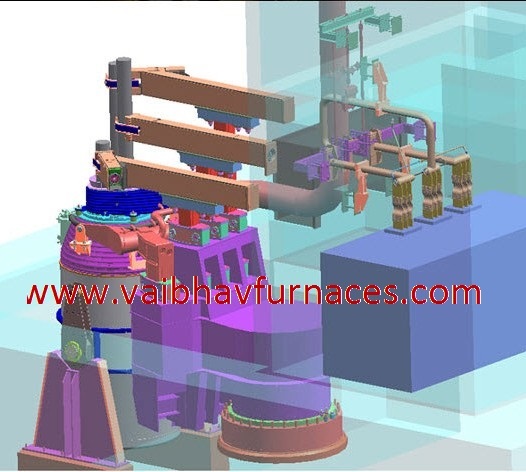 Ladle Furnace utilizes electric power & graphite electrode to maintain the liquid steel temperature. Homogenization of liquid steel temperature and chemistry of steel through inert gas stirring/purging. In some technologies induction stirring is also applied. Slag Layer is formed at the top of the liquid steel ( by adding slag forming agents). While Slag Layer protects the Ladle refractory from Elecric Arc Flare , it also traps inclusions & provides the mean for desulphurisation. Enabling alloy additions in bulk OR to correct the chemical composition. 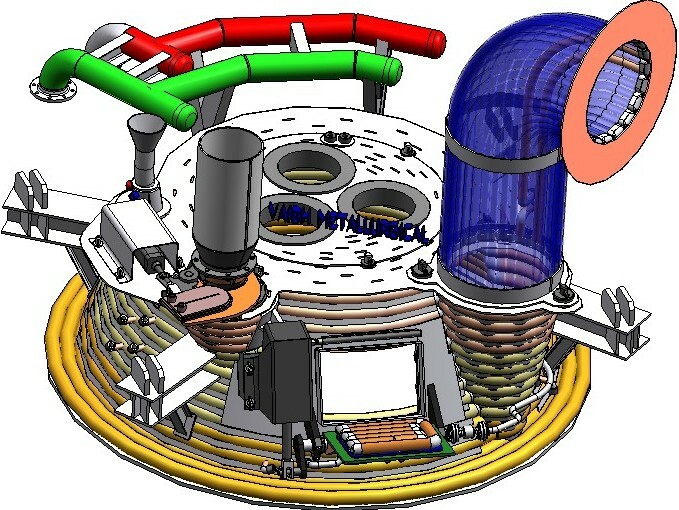 Cored Wire addition (with wire feeding system) for trimming OR morphology control.